A man from Lowell who already had two DUI convictions was recently arrested for a possible third charge of driving under the influence, even though his vehicle had an ignition interlock device. According to My FOX Boston, the 46-year-old driver was pulled over in Pelham just after 1:00 p.m. after being reported slamming into a tree at the intersection of Simpson Mill and Hobbs roads. He was reported a number of times for driving “all over the roadway.” After being stopped by officers, it was clear that he was “highly intoxicated and very unsteady on his feet,” according to authorities. He was not only in possession of a number of empty alcoholic beverages, but also in possession of marijuana. He reportedly failed a number of sobriety tests, was arrested and is now facing charges of transportation of marijuana, possession of marijuana, conduct after an accident, aggravated driving while intoxicated as well as driving while intoxicated. Our Boston drunk driving injury lawyers understand that this particular driver after convictions on driving charges in Lowell in 1984 and once in 2009 in North Carolina. This driver was instructed by courts to install an ignition interlock device on his vehicle under Melanie’s Law. 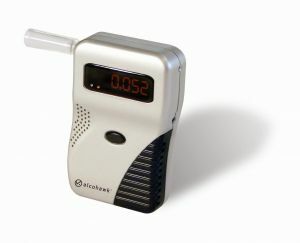 In the state of Massachusetts, the law requires drivers to have these devices is they’ve been convicted of DUI multiple times. Fortunately, efforts to increase the consequences of drinking and driving have met with some success over the last two decades. However, in spite of tougher laws, increased enforcement, and greater public awareness, the presence of persistent and habitual drunk drivers on U.S. roadways continues to be a major public health problem. Repeat drunk drivers represent at least one third of all DUI arrests and likely contributes to consistent rates of DUI deaths and injuries on our nation’s highways. These statistics emphasize the need to identify and address the factors that influence DUI recidivism. A major policy concern regarding the sentencing of drunk drivers is whether rehabilitation or punishment should be the dominant strategy. Essentially, rehabilitation attempts to treat the underlying alcohol problem of drunk drivers and inhibit future drunk driving, while punishment utilizes the threat of punitive legal sanctions and various types of punishments to deter drunk driving. It’s been proven time and again that ignition interlock devices work to stop drinking drivers before they can get behind the wheel, but ignition interlock devices (IIDs) don’t just reduce recidivism rates for chronic re-offenders. Or do they? Like many of today’s traffic offenses, DUI is an offense that people too often fail to associate with an increased risk of traffic accidents. This is made evident by the number of repeat offenders who get caught on a regular basis. And thus like speeding and distracted driving, it remains a leading cause of fatal traffic accidents nationwide.